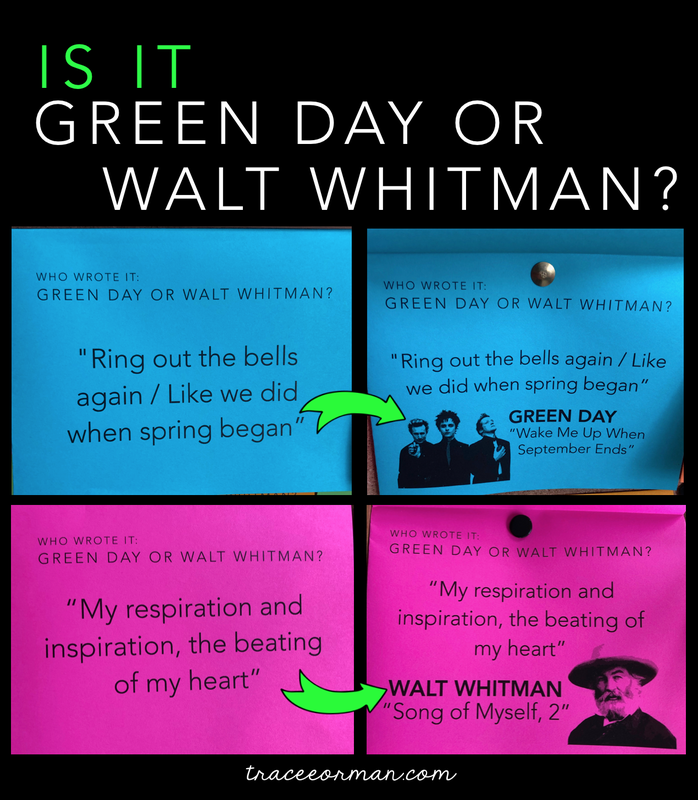 Do your students have a negative attitude about poetry? Do you wish you could change that? 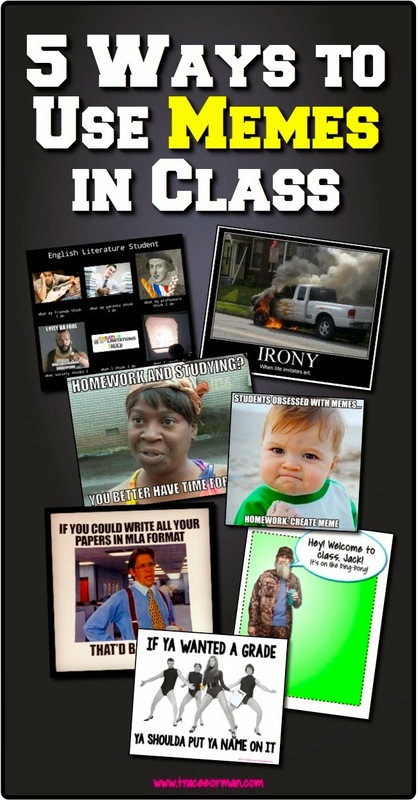 One way to combat this is by showing students that poetry is cool (or whatever the latest term is for being awesome). 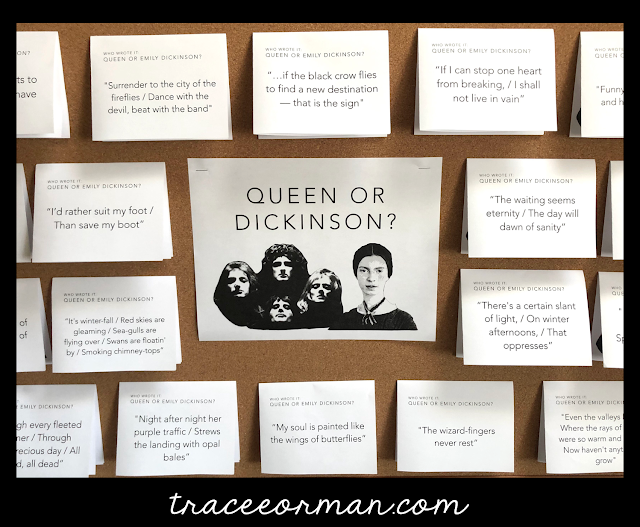 My interactive bulletin board displays–which also come with presentations and a fun quiz handout–show students that the music they may listen to is similar to classic poetry. 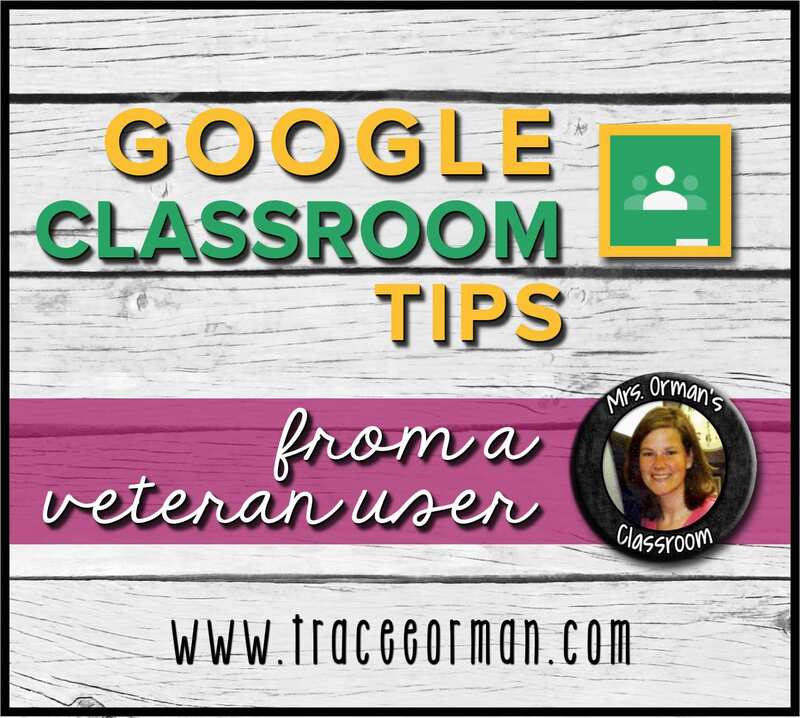 Plus, they are sure to pique your students' interest and challenge them. 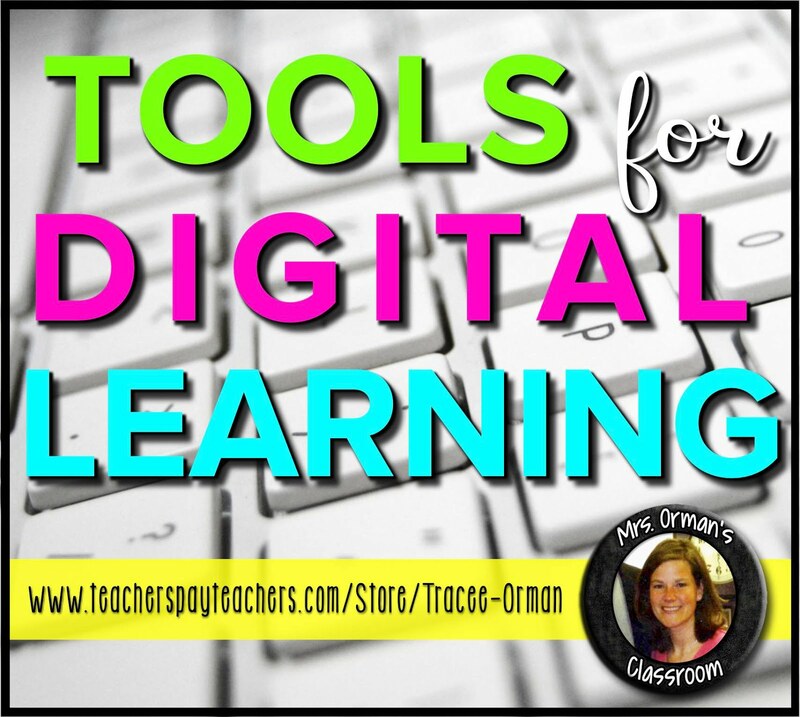 I offer these packs on TpT; click on the images or links below to learn more about each in my store. 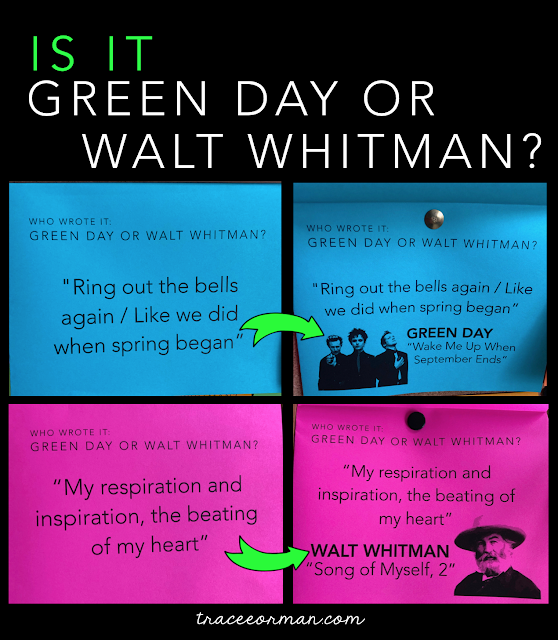 IS IT GREEN DAY OR WALT WHITMAN? This pack contains 45 quote cards, 134-slide presentation, student quiz (45 questions--same as the quote cards), and teacher answer key. 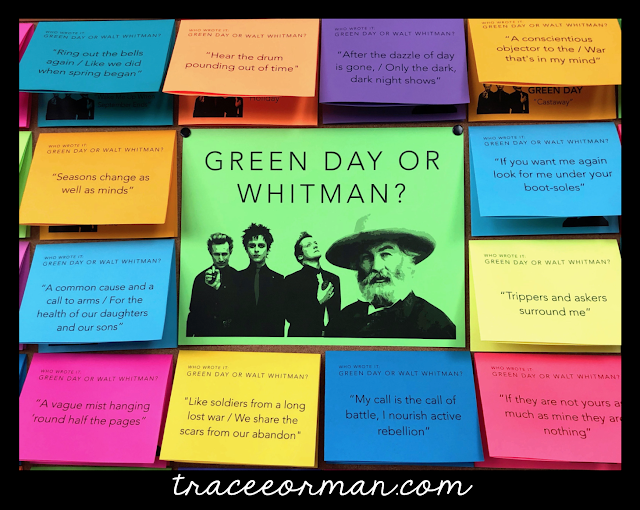 It also includes a brief bio of both Green Day and Walt Whitman to give your students some background information on both. 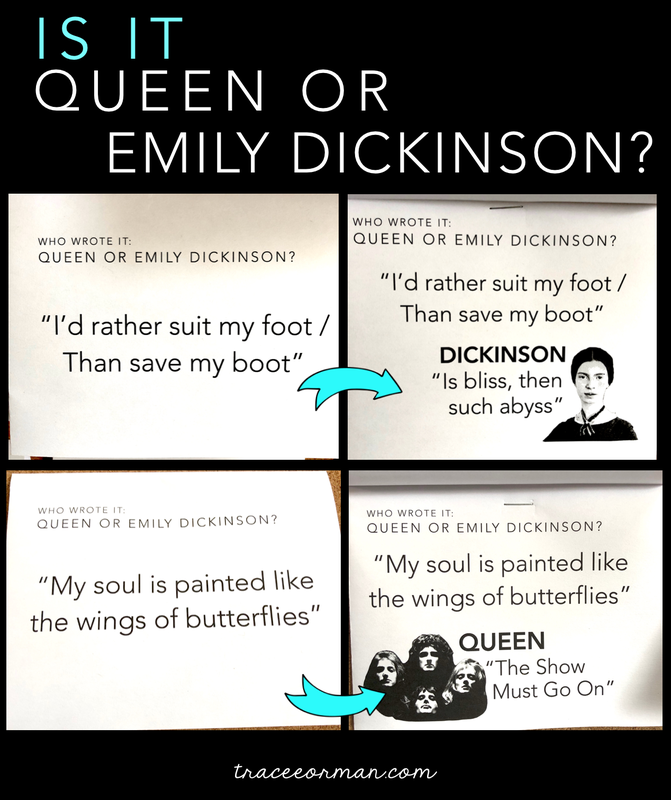 IS IT QUEEN OR EMILY DICKINSON? Like my other packs, this pack contains the same presentation, quiz, answer key, and 40 bulletin board cards. IS IT TUPAC OR SHAKESPEARE? 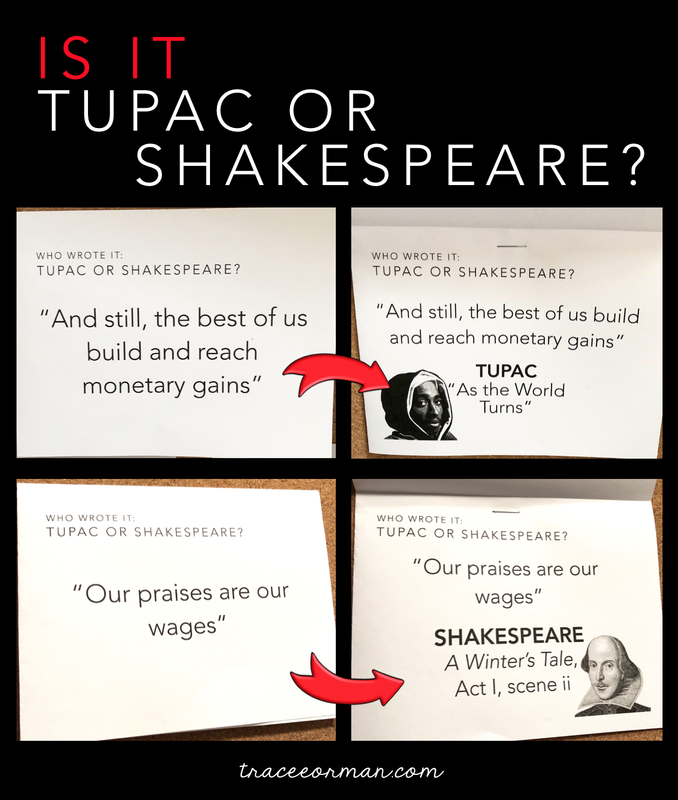 It's guaranteed to bring a new appreciation for both Shakespeare AND rap music! 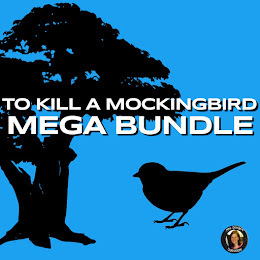 This pack includes 40 bulletin board quote cards, student quiz, teacher key, and a 122-slide presentation. Use whichever you like to suit your students. 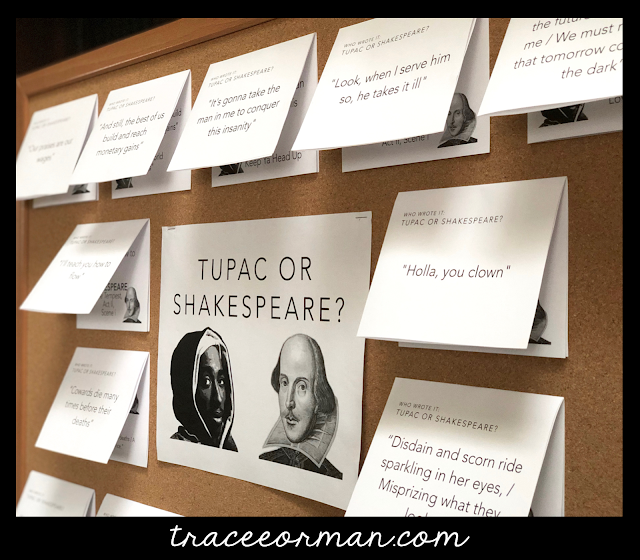 It's a fun way to introduce Shakespeare or to bring awareness any time during the school year! What other pairings would you like to see? Drop me a suggestion in the comments and if I create it, I'll send it to you free! This free download features short poems that are easy to print, cut, and have available for students to take. 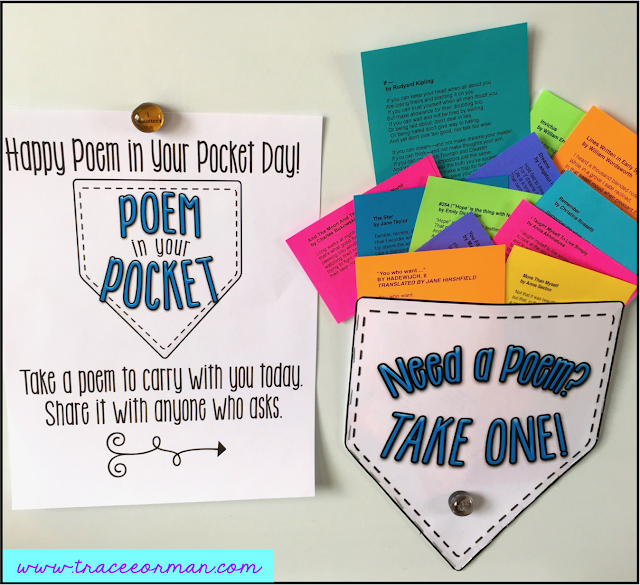 I provide a fun pocket display in which you can stick the poems. I like to keep this up all year long so students always have poetry available.